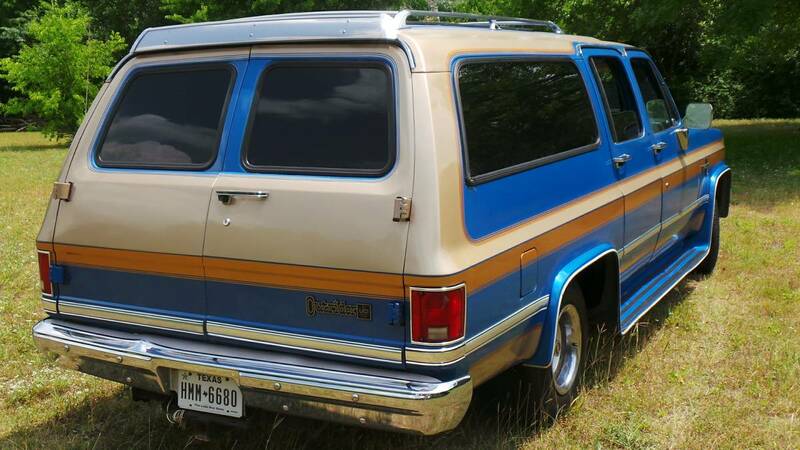 Not many UCI conversion Suburbans out there, took me 3 years to come across UCI. 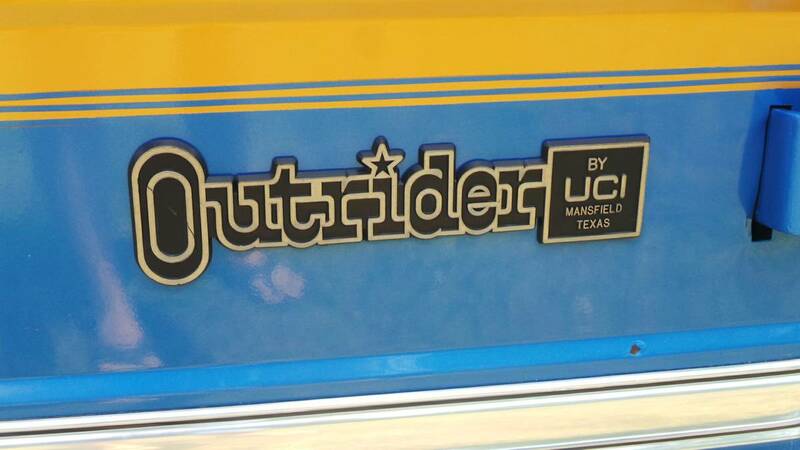 Based out of Mansfield Texas, I know they go back to at least 1985 but still looking for more information and examples. 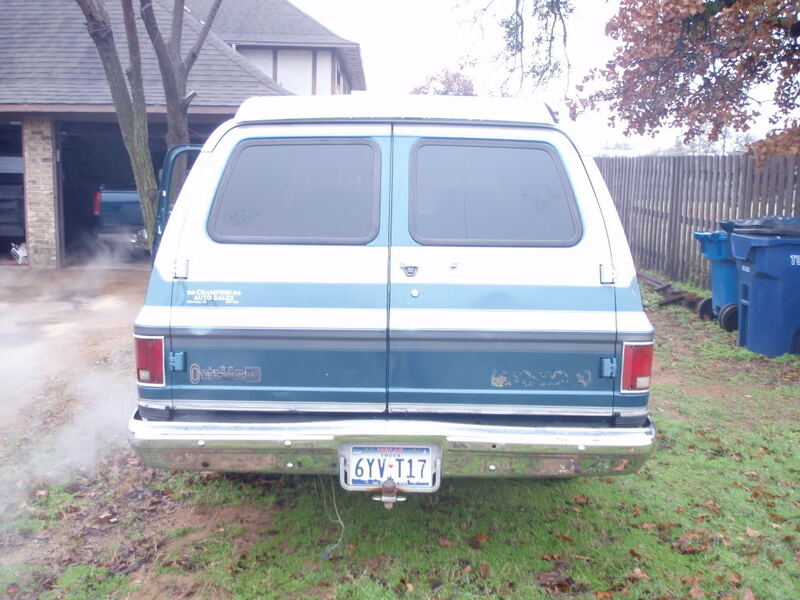 Below are Suburbans between 1973 and 1991 (7th Generation) with the UCI Conversion Packages installed. 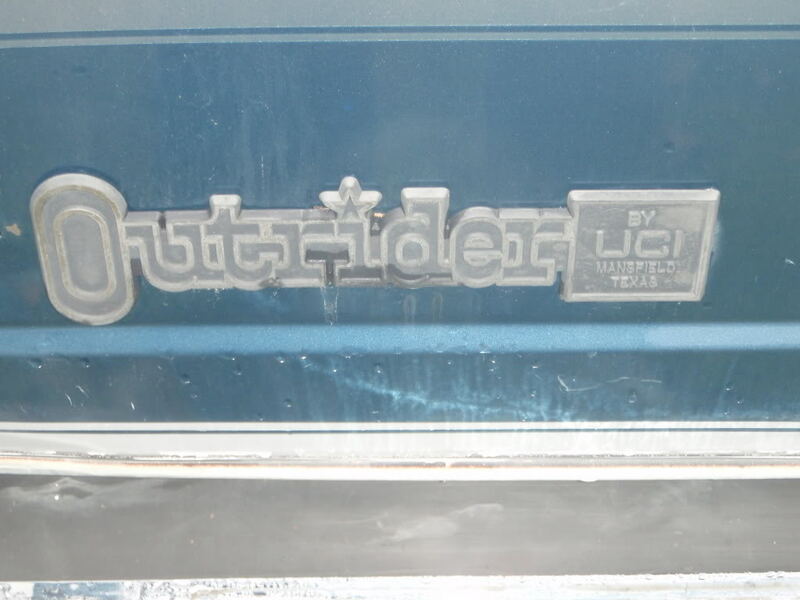 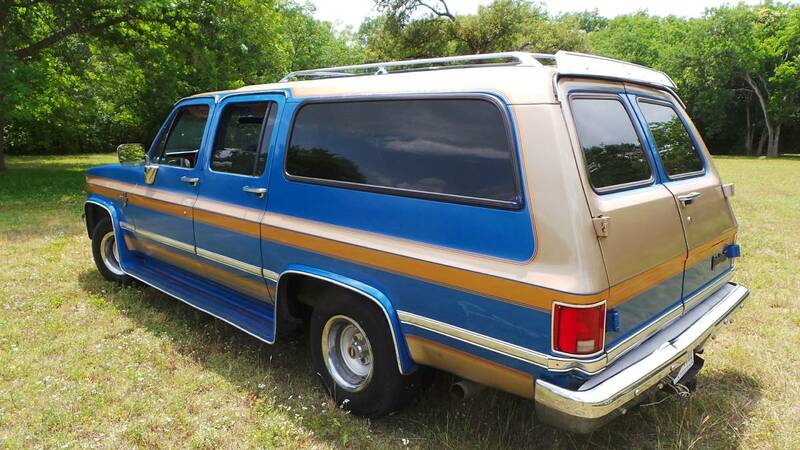 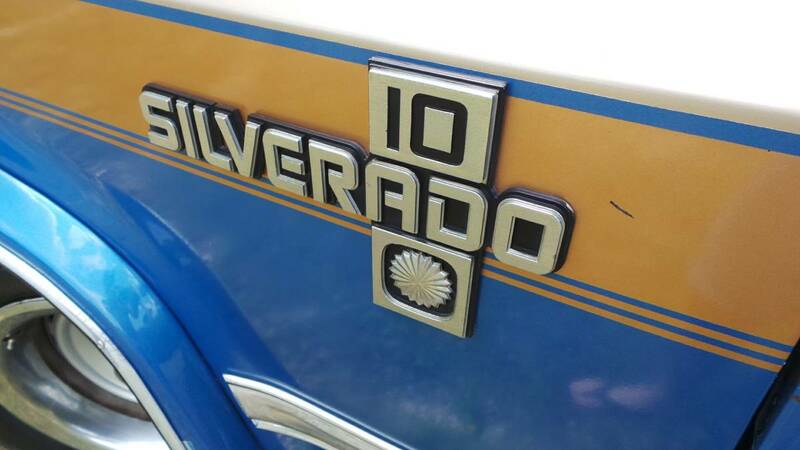 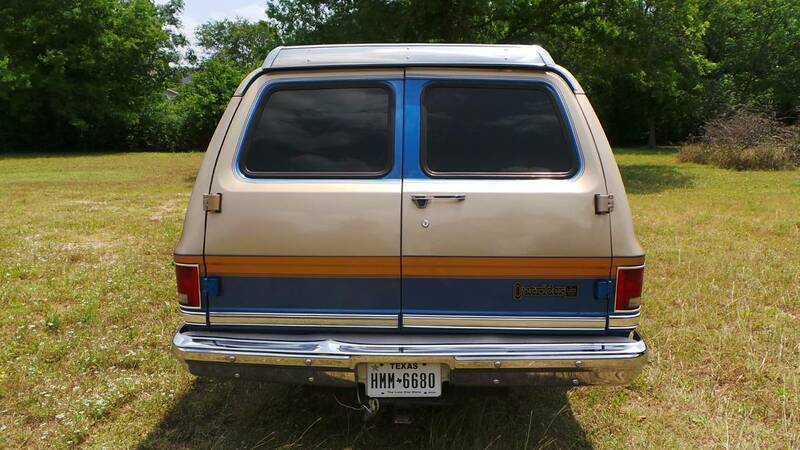 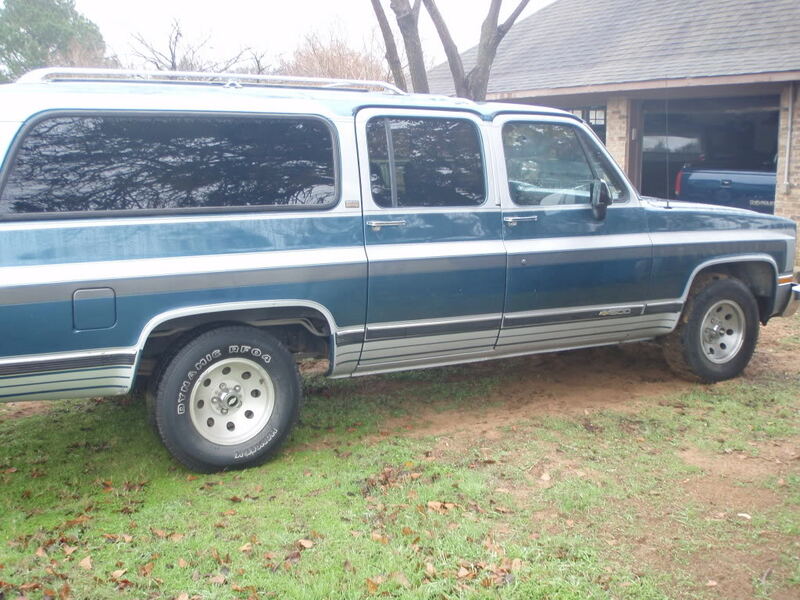 Description: Here is a super rare old square body Chevy Suburban "Outrider" edition. 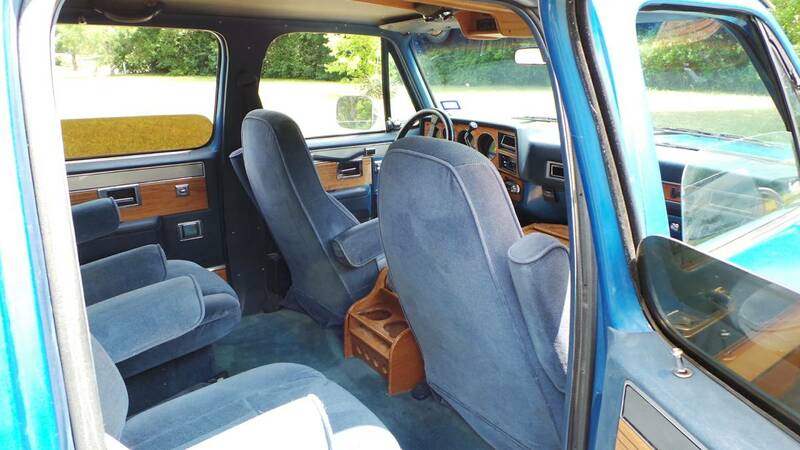 This neat looking truck has 60k original miles and is a one owner, also original paint, original interior and rare double rows of factory captains bucket seats. 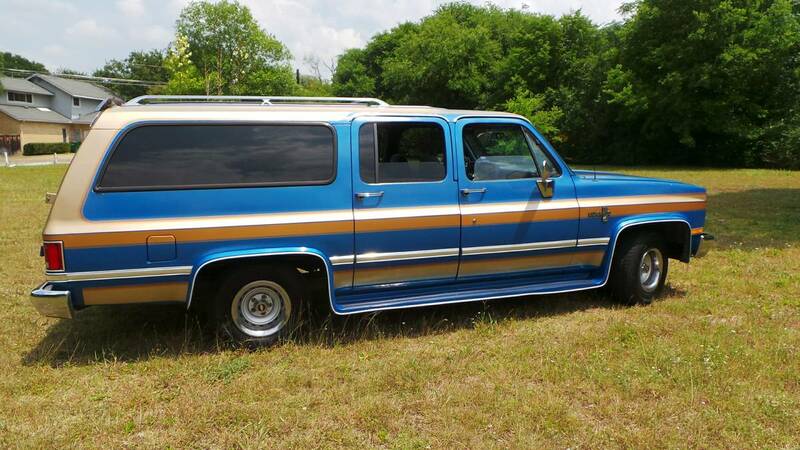 You could turn the key and drive to New York tomorrow in this rig, she'd get you there in style and comfort. 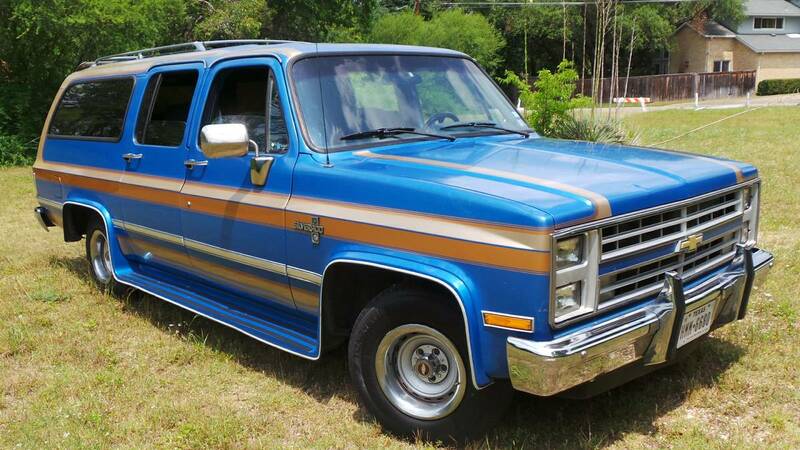 This truck floats down the road. 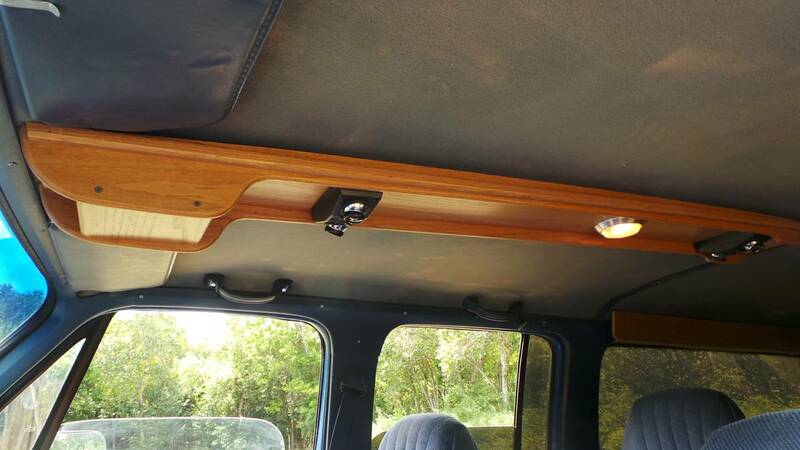 With a flip of the switch, old school LED interior roof lights set the mood. 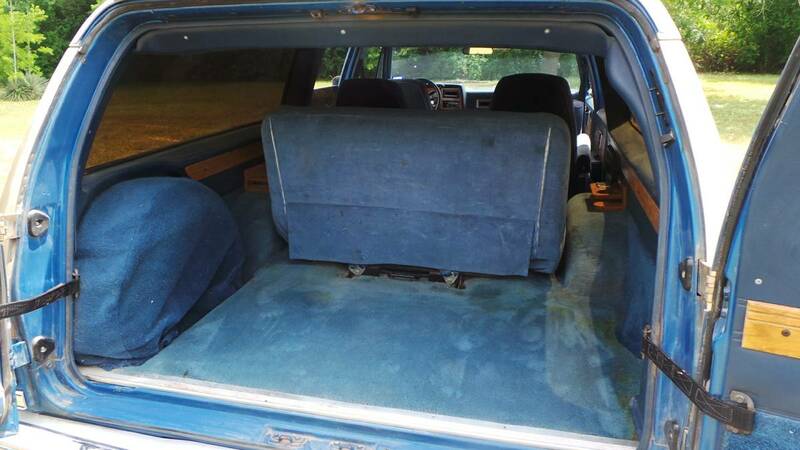 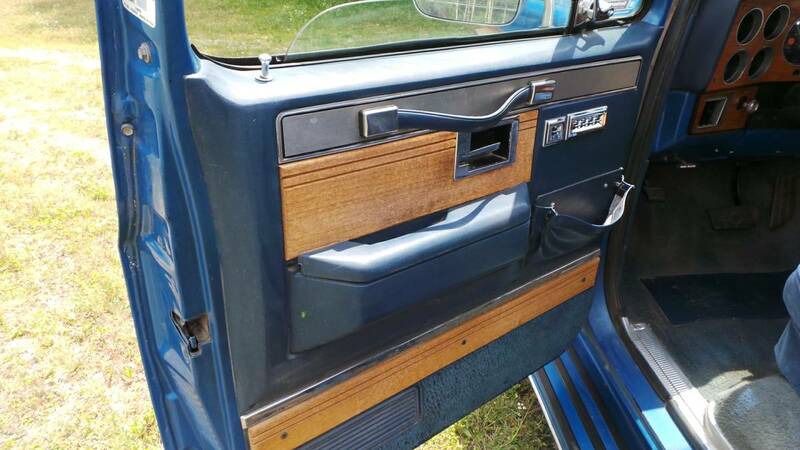 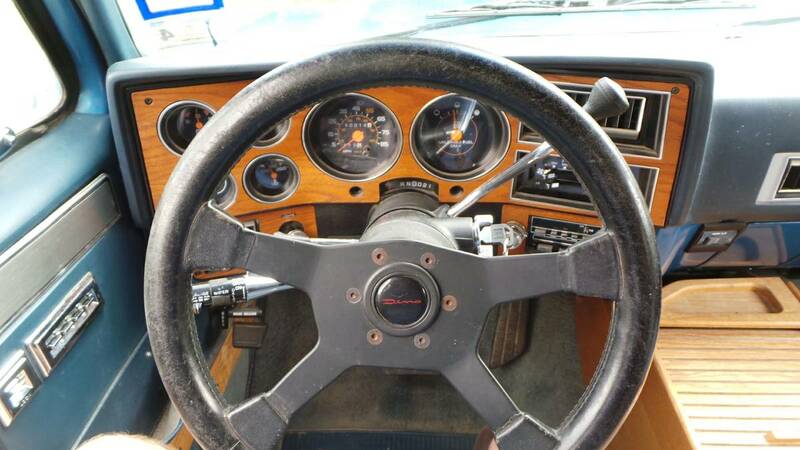 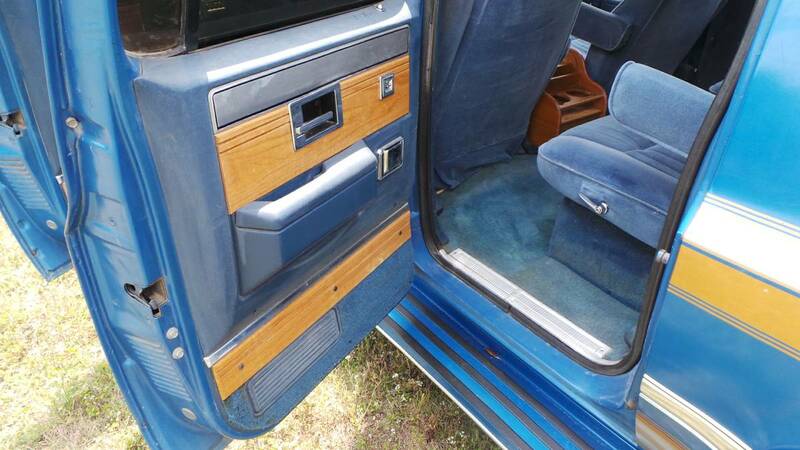 It even still has a "fuzz buster" mounted in the real hard wood ceiling console. 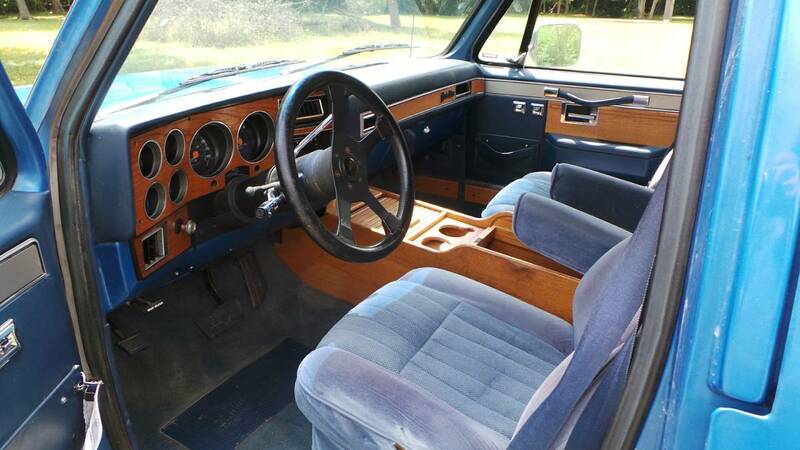 The truck has a smooth running 350 V8 engine and 700R overdrive automatic transmission. 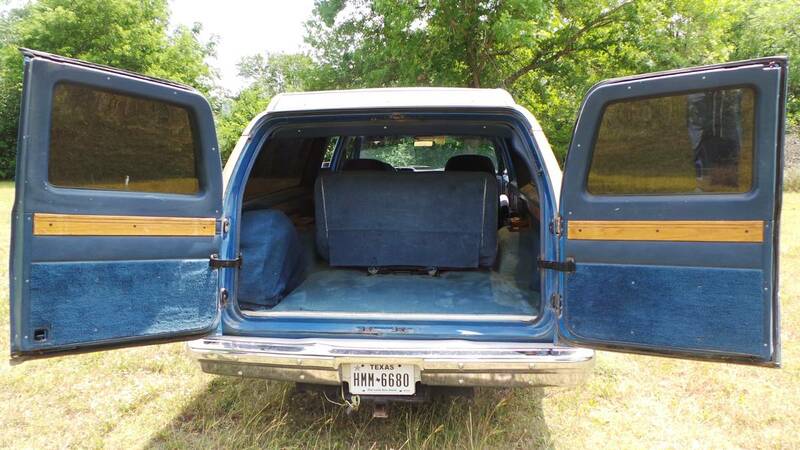 It also has a class III trailer hitch and good tires. 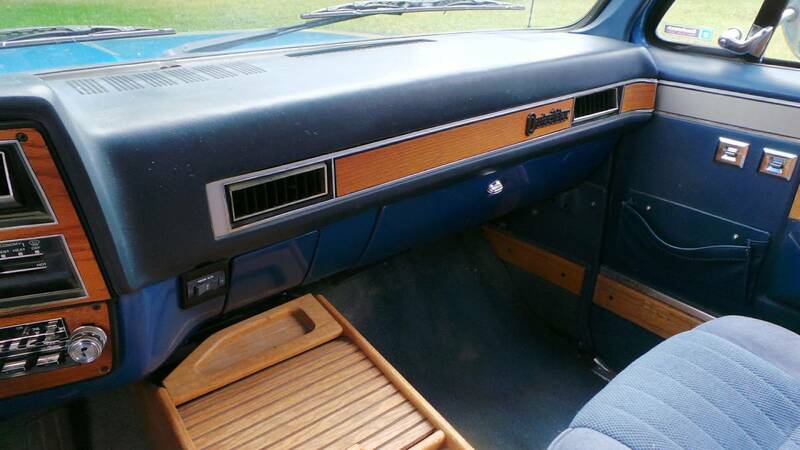 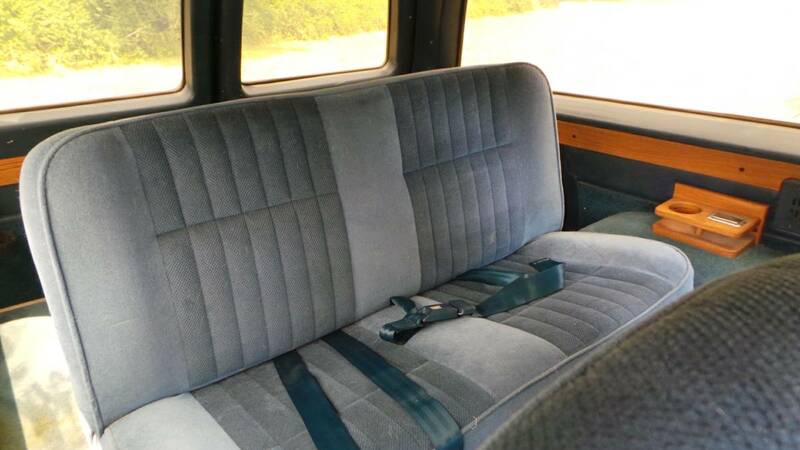 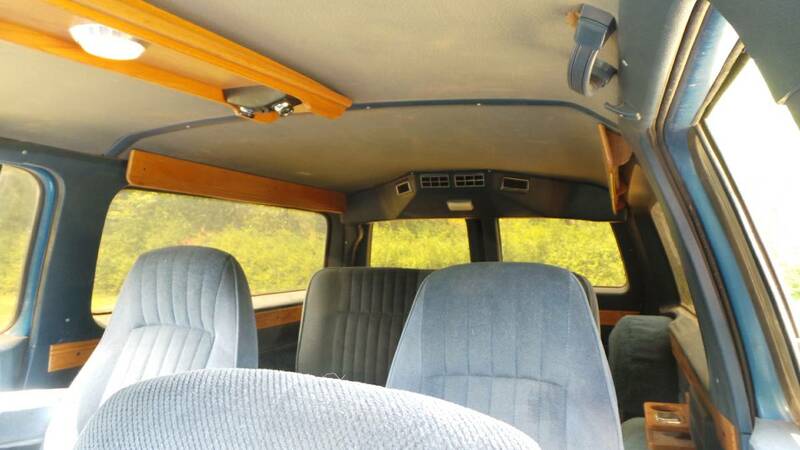 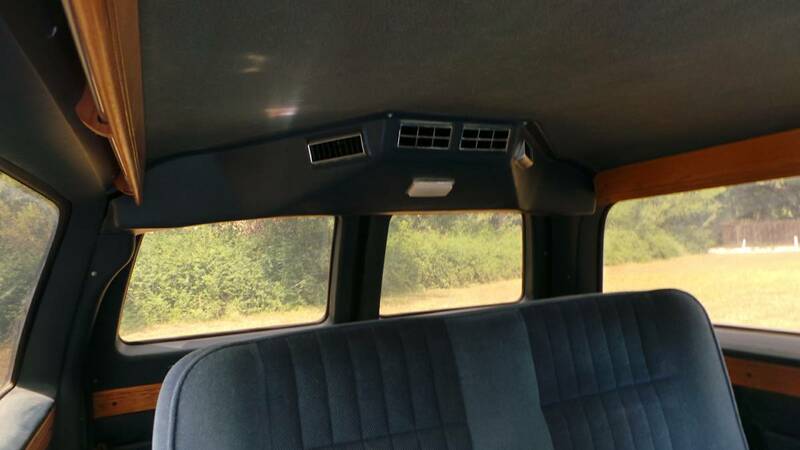 The truck has front and rear air conditioning and the original third row seat.